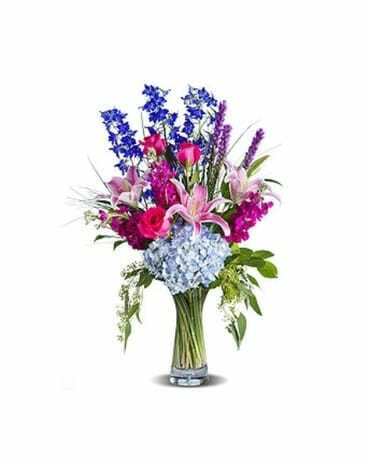 Exactly what the recipient will say when these gorgeous Delphinium, Roses, Liatris, Stargazer Lilies, Stock and Hydrangea arrive in our exclusive heavy fluted clear glass vase - Beyond Beautiful! Flowers and vase may vary. Approximately 16" W x 25" H.